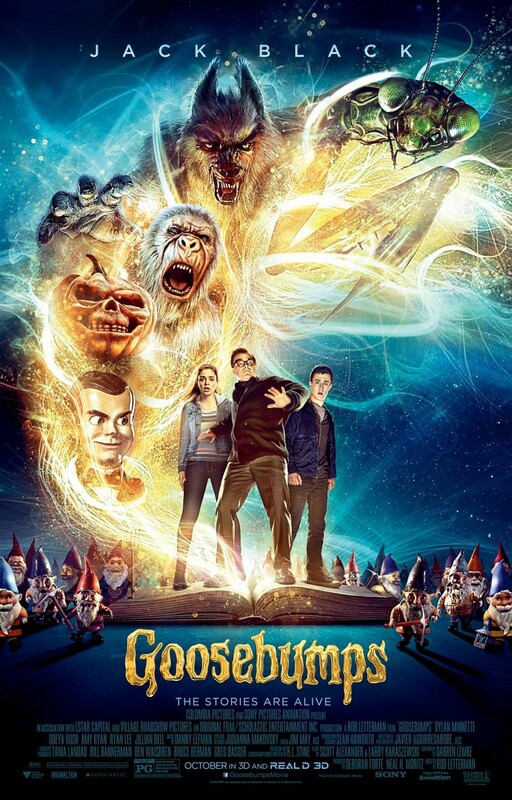 In celebration of the worldwide release of Goosebumps, in theaters October 16, 2015, moviegoers can put themselves inside an action-packed scene from the movie in a virtual reality adventure with immersive motion by D-BOX with the Goosebumps Virtual Reality Adventure. In eleven cities over four weekends, Goosebumps fans can buckle up for adventure as Jack Black, playing famed Goosebumps author R.L. Stine, takes them on an unforgettable journey through town, just after his creatures have escaped from their manuscripts. In the one-of-a-kind promotional event, moviegoers will put on virtual reality goggles and climb into a D-BOX immersive motion-activated chair to experience being inside a scene from the movie. In the experience, which is inspired by a scene in the film itself, Jack Black, playing Stine, drives through town, trying to escape one of his creations, the Praying Mantis. With the motion of the D-BOX chair precisely synced to action, Black directs viewers to look around and experience the world of Goosebumps, as if they were inside the film itself. The experience was directed by Rob Letterman, the director of Goosebumps. Moviegoers can visit www.Goosebumps-Movie.com for local theater location information. The experience will be available in select international cities at future dates, tied to the film’s release. Sony partnered with the globally renowned creative studio and VFX powerhouse MPC to shoot and produce the VR content. In addition to and separate from the Goosebumps Virtual Reality Adventure, moviegoers will be invited to experience the theatrical film Goosebumps in one of the thousands of D-BOX seats installed in theaters upon the film’s release.